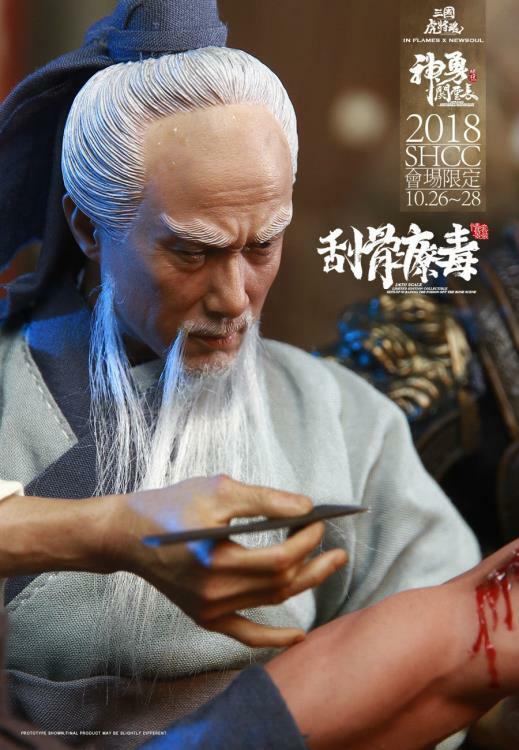 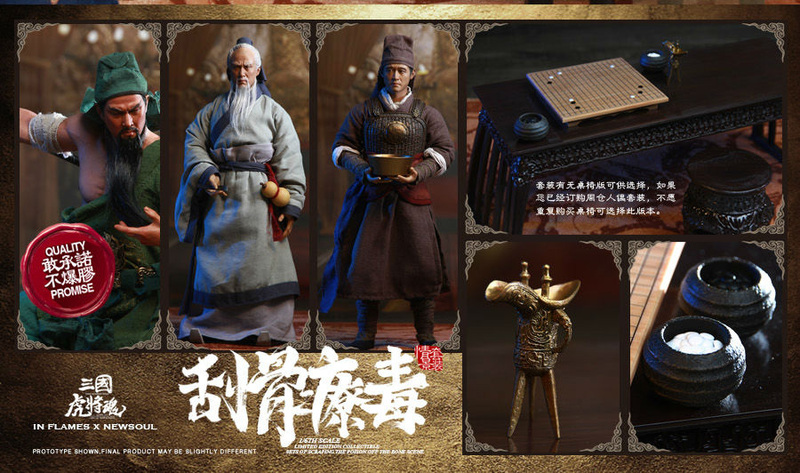 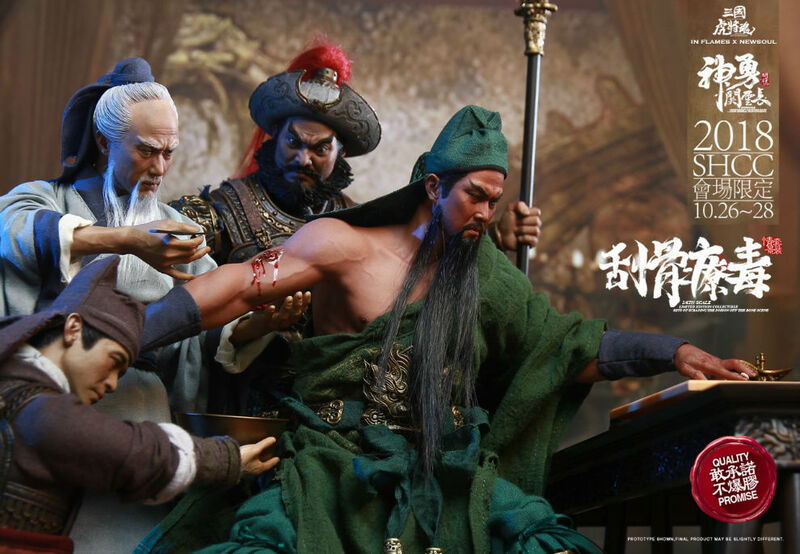 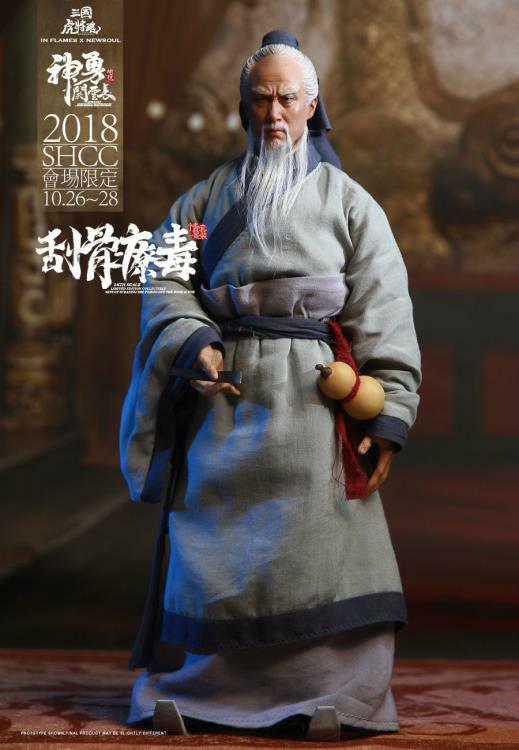 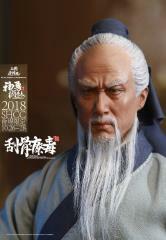 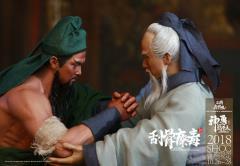 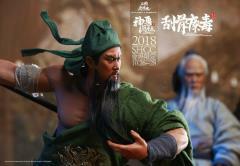 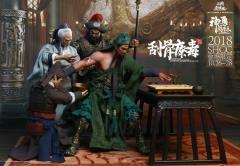 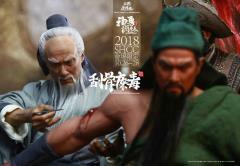 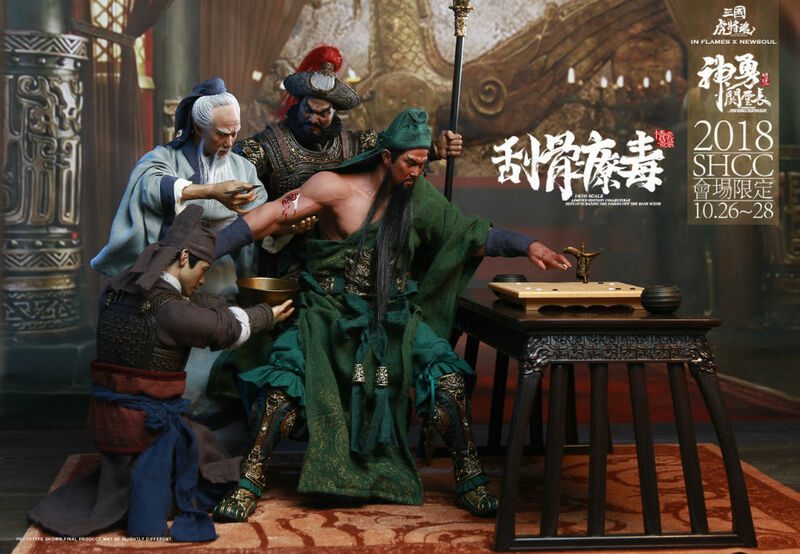 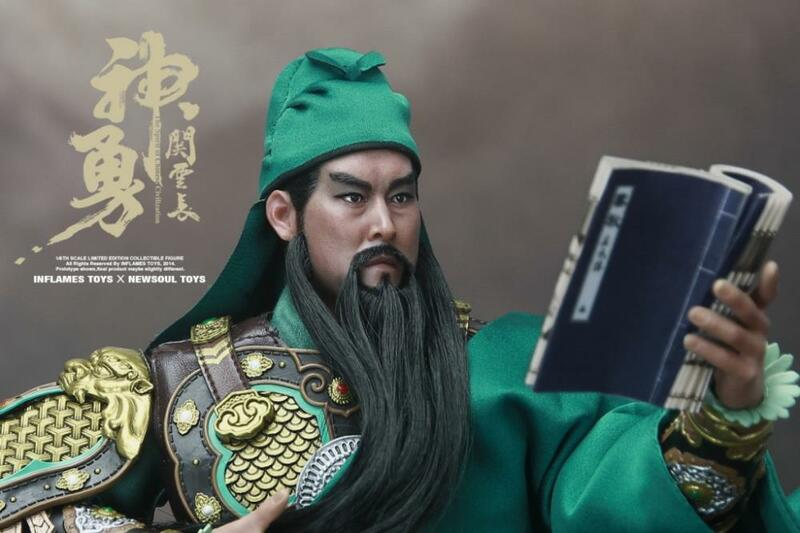 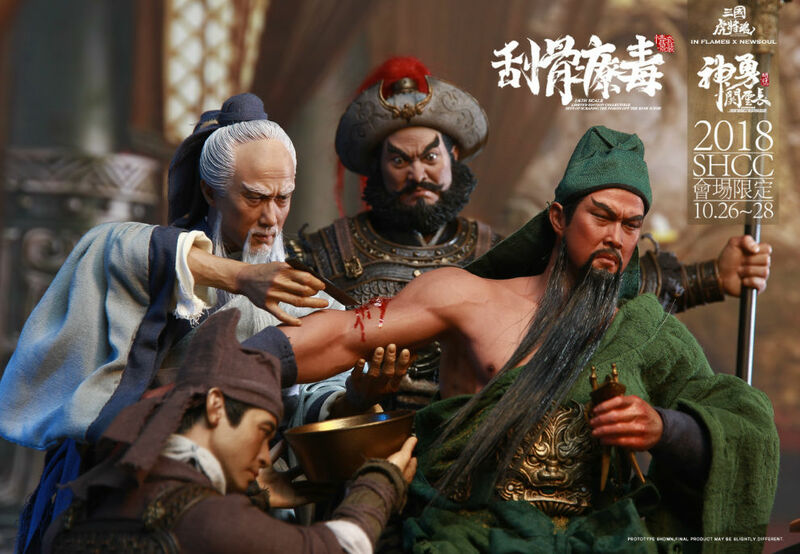 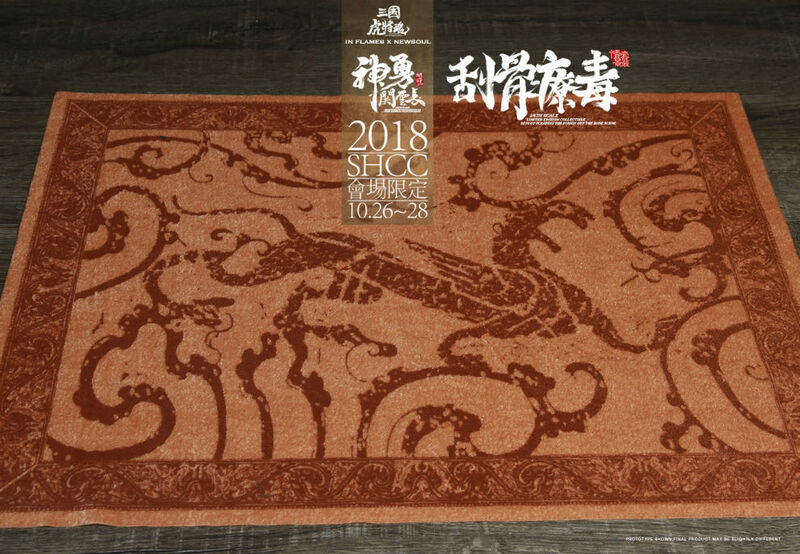 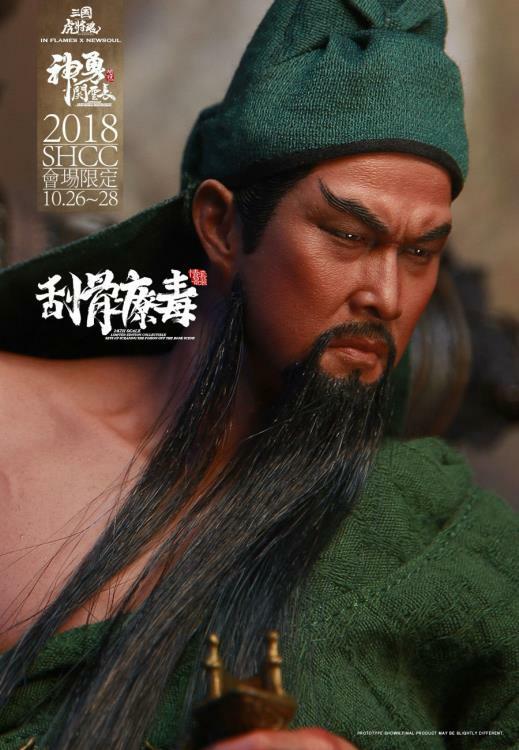 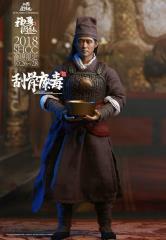 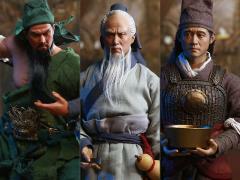 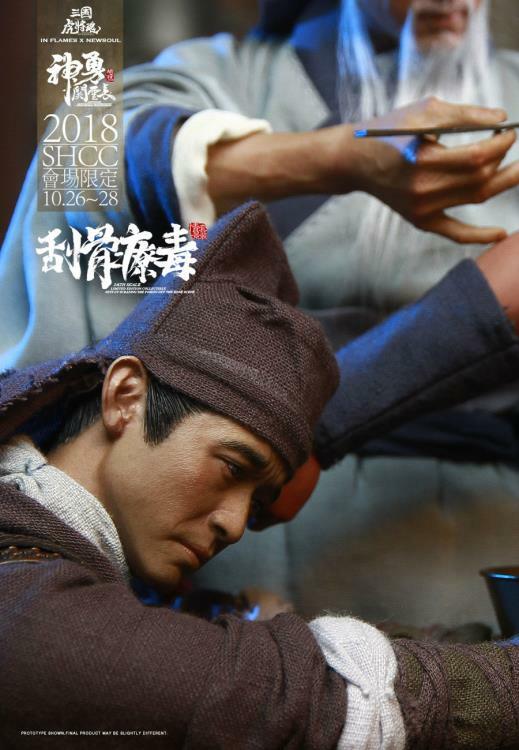 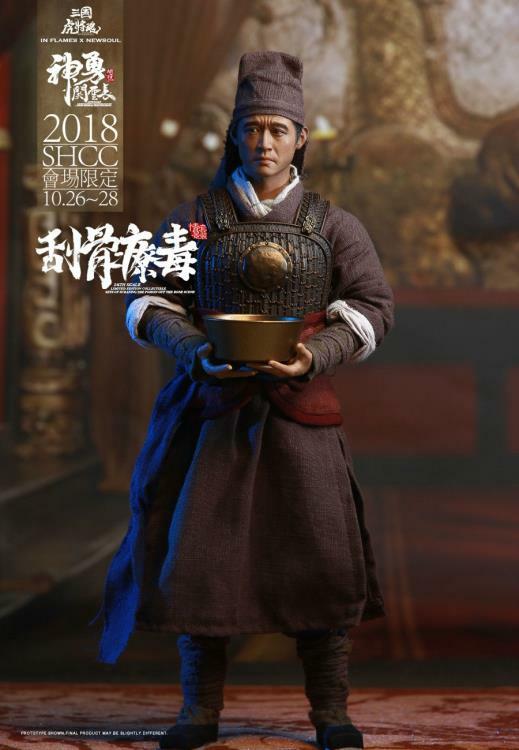 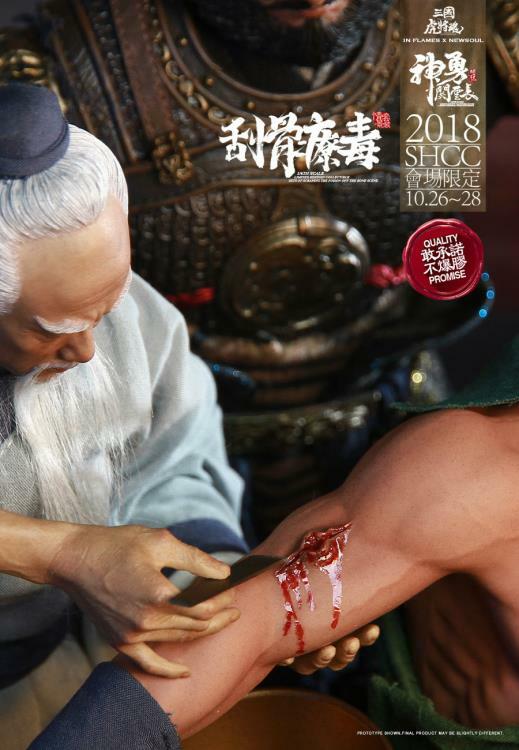 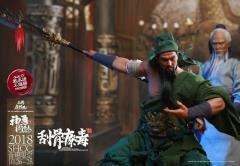 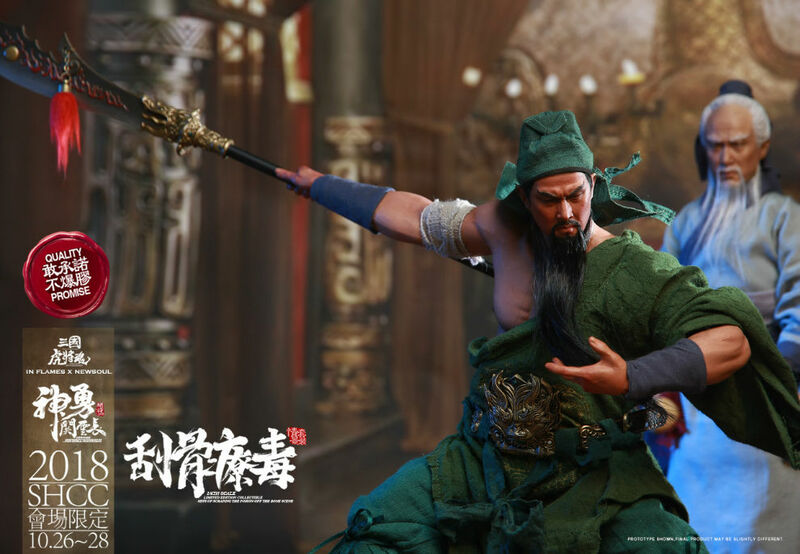 The SHCC exclusive Three Kingdoms collectible set includes Guan Yu, Hua Tuo, and a Chinese soldier. 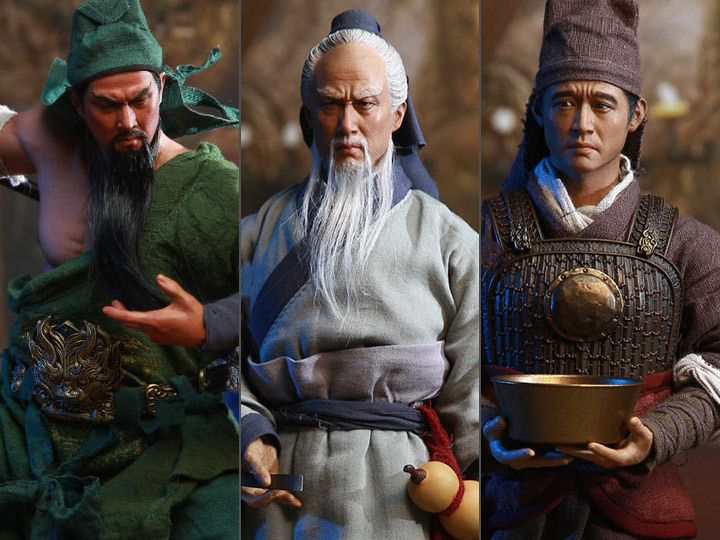 All three figures are highly articulated and feature elaborate head sculpts and custom-tailored clothing. 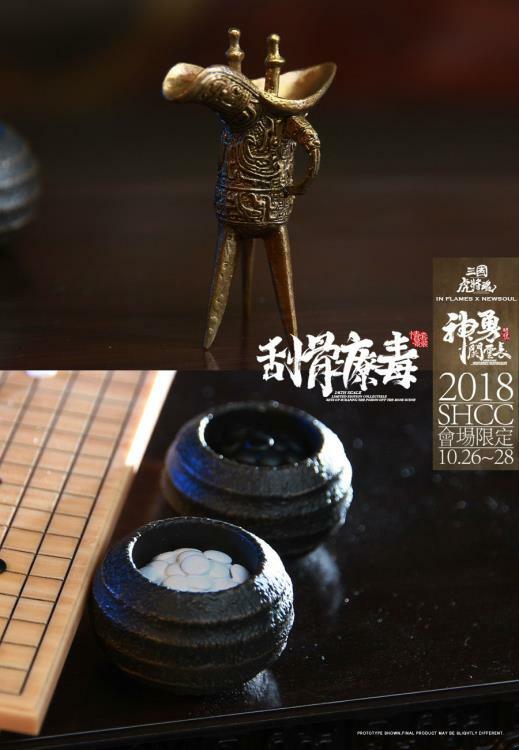 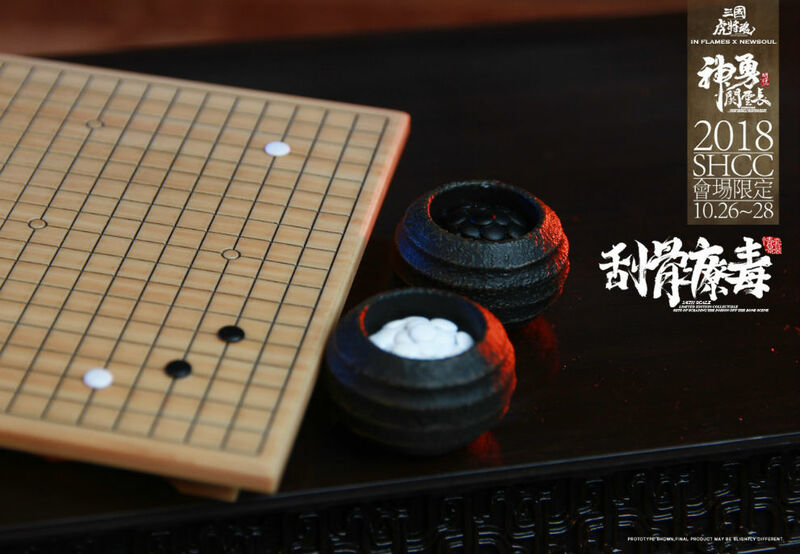 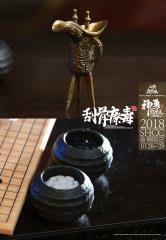 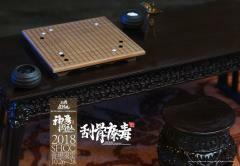 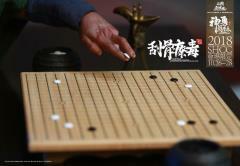 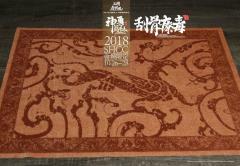 The Collectible Set A includes a Xiangqi (Chinese Chess) set as well as a writing desk and foot stool.